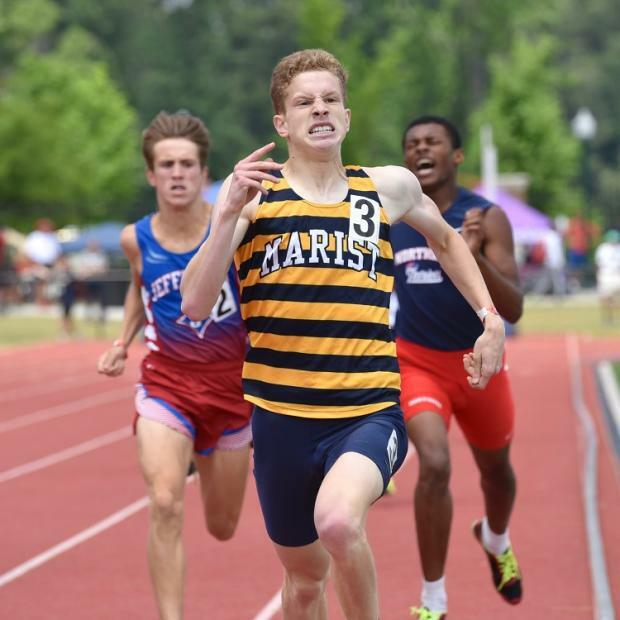 The AAAA Boys meet played out much as expected with Marist scoring huge distance points and then on Saturday, taking Bronze in the 4x100, Brian Faust killing it in the 400m taking Gold, and then holding off a challenge in the 800m adding another Gold to his resume. 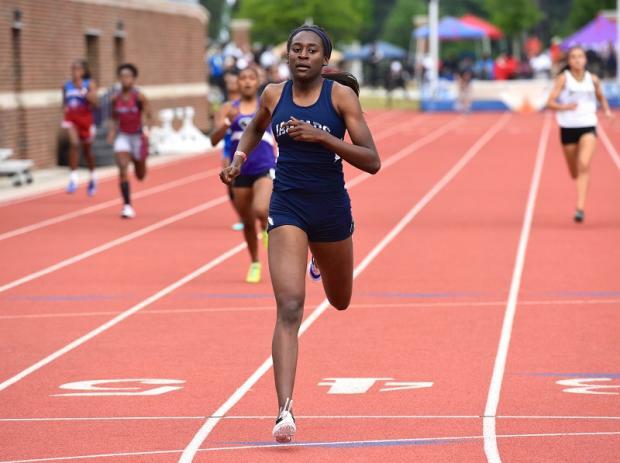 The War Eagles, then closed out their run taking 5th in the 4x400 for 20 point margin of victory over runnerup Sandy Creek. 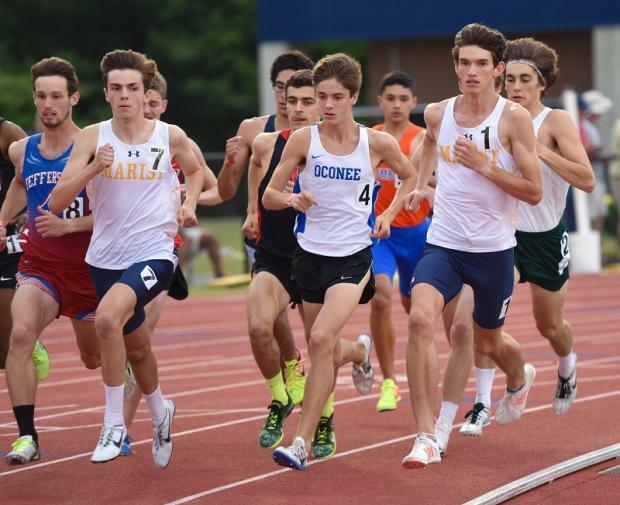 On Thursday nite, Leif Andersen and Knox Pittman teamed up to control the 1600m race and sweep the top 2 places after clawing out 6.5 points in the Field Events. 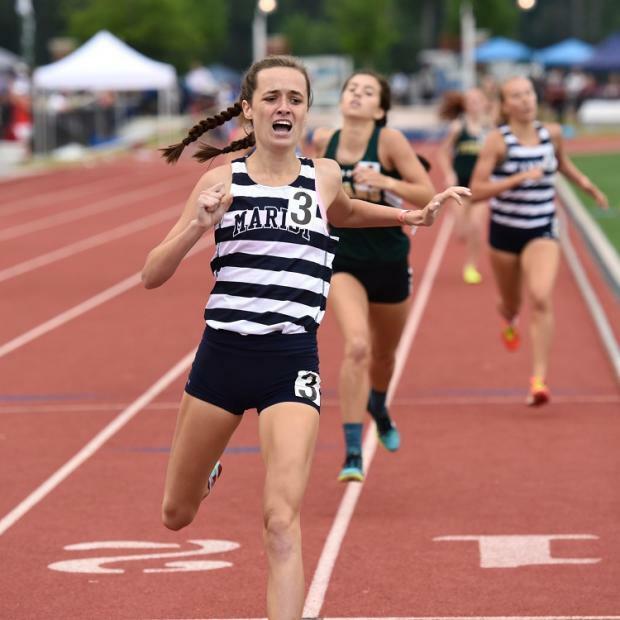 On Friday evening, Andersen took Silver in the 3200, and Quinn Burden bravely got up, after falling in exhaustion, and manged to dive over the line preserving 4th place. Plainly, Marist wanted this more and got it. Sandy Creek earned team runnerups honors scoring 50 points. 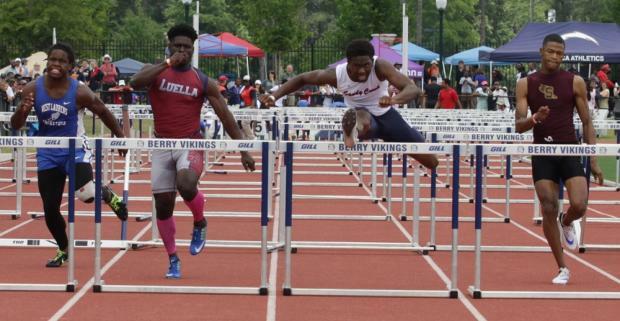 The Patriots were led by Michael Jones who took Gold in the 110h, followed by Silver in the 300h. AJ Hales also competed well, taking Bronze in the 300h and 5th in the 400m. 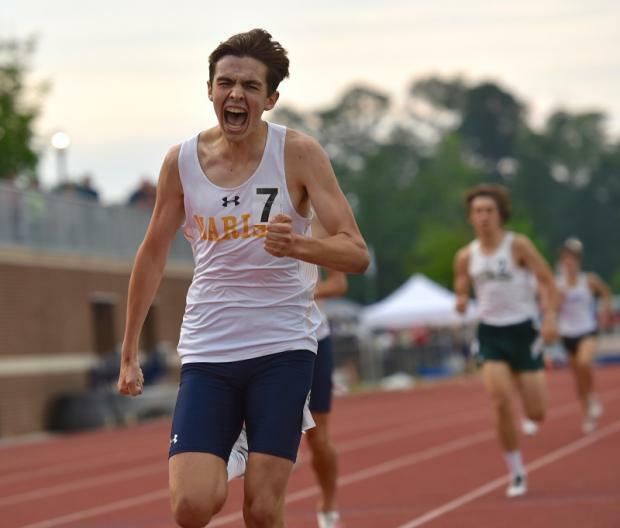 Noah Williams added a 4th in the 800m and the Pats ended their run with a Silver in the 4x400. 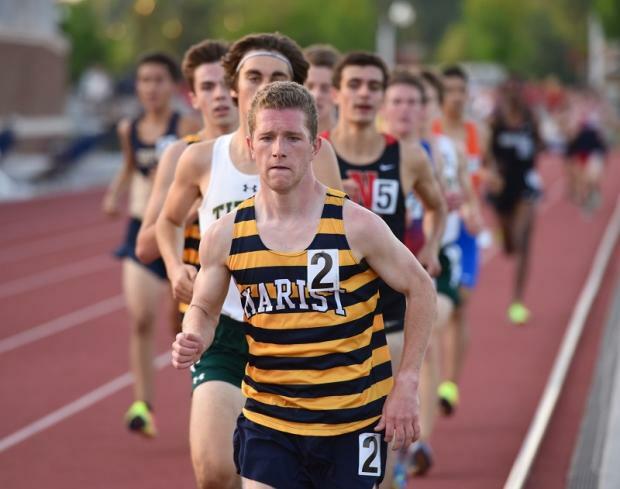 The last 2 team Podium spots shared 3rd place including Chapel Hill and Baldwin locked at 40 points. 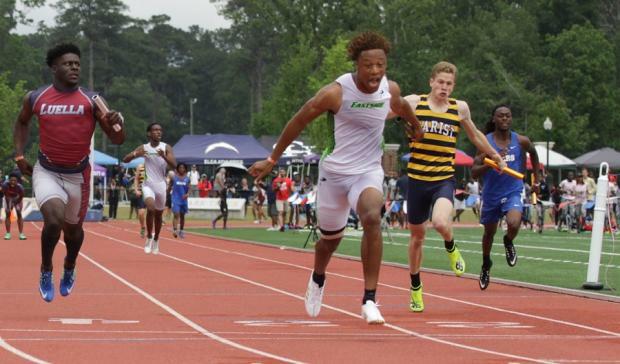 Jatavious Harris of Baldwin had a huge meet, sweeping the 100/200m dashes and ran a swift leg on Baldwin's 4x400 squad who took 1st place, tying them with Chapel Hill. 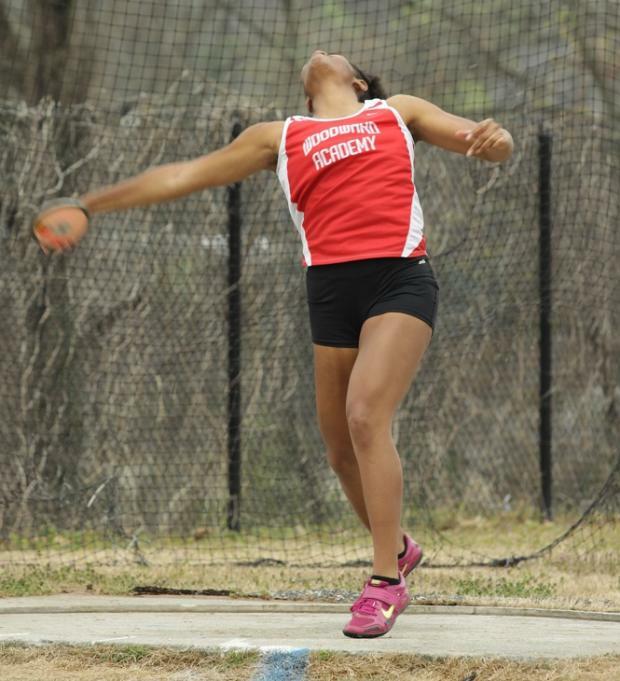 Chapel Hill's points came mainly from the Field Events, as thrower Jermaine Anderson won the Discus, while taking Silver in the Shot. Joshua Jackson won Bronze in the Shot Put. 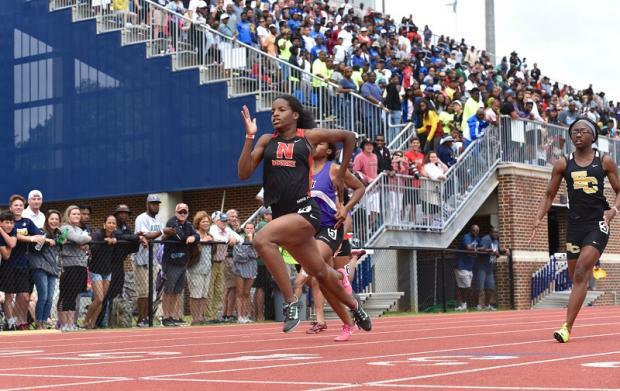 Tyre Shelton raced to a Bronze medal in the 100m and the Panthers took 6th in the 4x400. 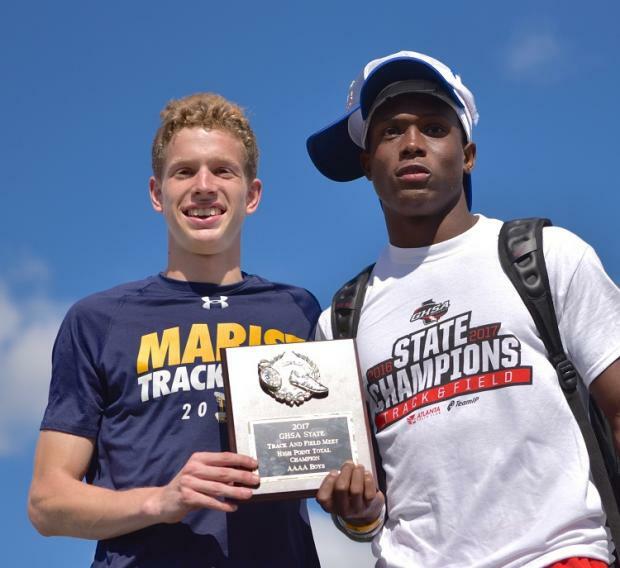 The AAAA Boys High Point Winners were Brian Faust of Marist and Jatavious Harris of Baldwin (photo by Daniel McCauley) Smile sometimes Jatavious, look forward to seeing you on the gridiron! 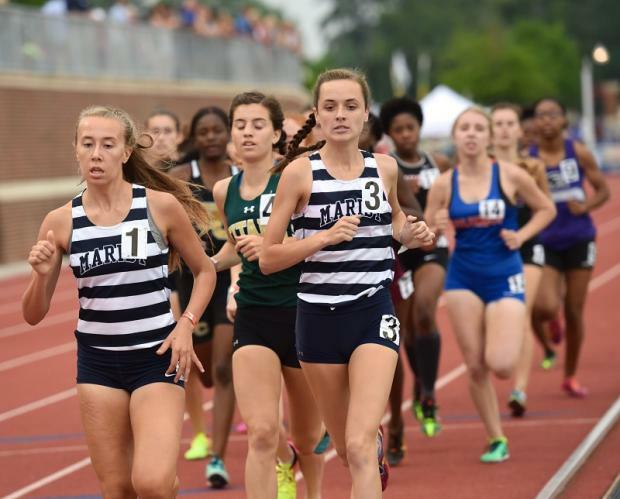 Woodward actually had the lead going into the 4x400, but with no scoring opp, had to watch Chapel Hill surpass them for the title. Woodward was a beast on the Field, as Makenli Forrest dominated the Throws events scoring 2 Golds. 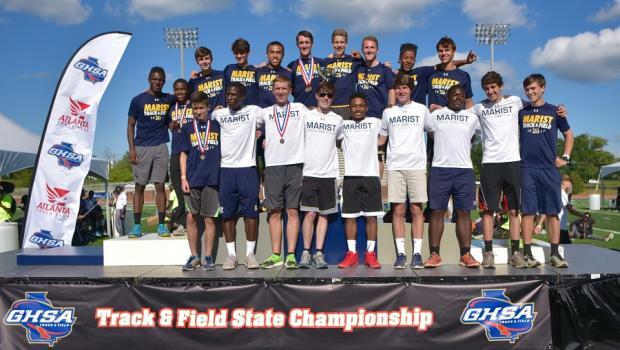 It was a battle for the final 2 Team Podium spots as only 1.5 points separated North Oconee, Baldwin and Marist. 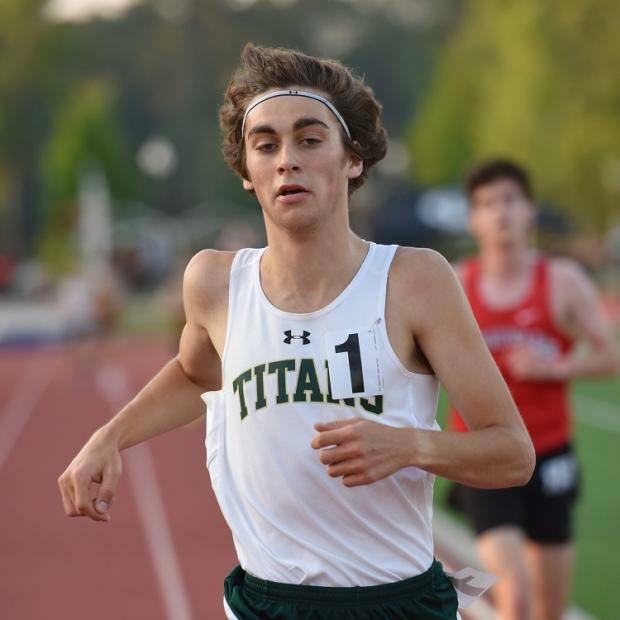 The Titans balance proved to be a difference as North OC scored in distance, sprints and field events. 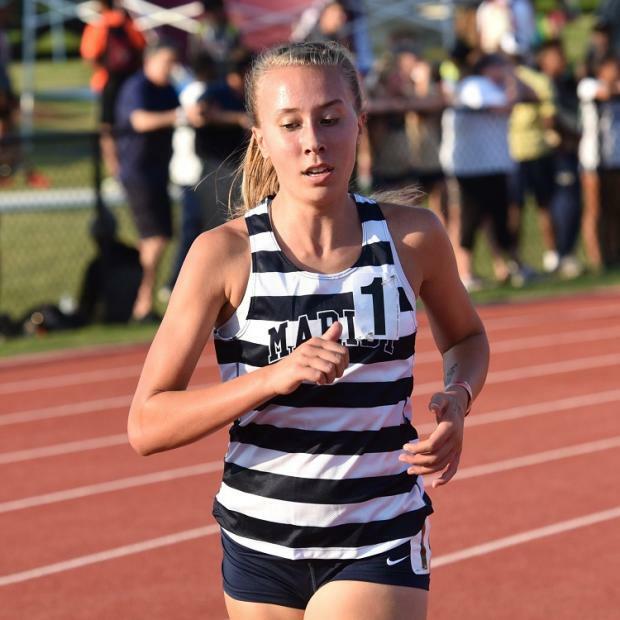 Sheleah Harris led the attack sweeping the 100/200 sprints, Cody Chandler won Bronze in the Shot and placed 5th in the Discus, while Mackenzie Morse had a strong final lap securing 2nd in the 3200m. 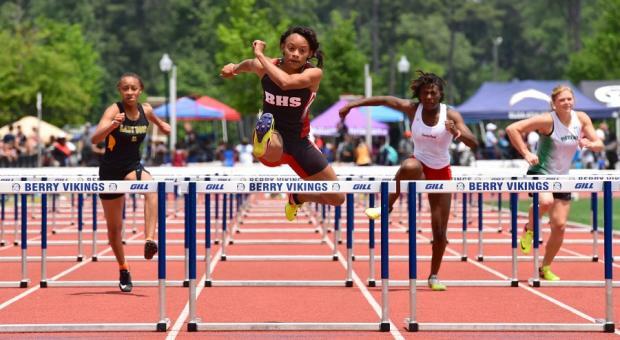 Baldwin HS was led by Zykeria Williams who won Gold in the 100h and Triple Jump and placed 2nd in the 200m. She also ran a leg on their 2nd place 4x400 squad.